Doctor Nancy Goodwin of Goodwin Medical Center, along with Chef Jeff Mitchell, owner of The Local in Naples, offer helpful tips to keeping your new year's resolutions. NAPLES, Fla. — 2018 has come and gone, and with a new year brings new resolutions, but we know how difficult it can be to keep our goals at the top of the list throughout the year. 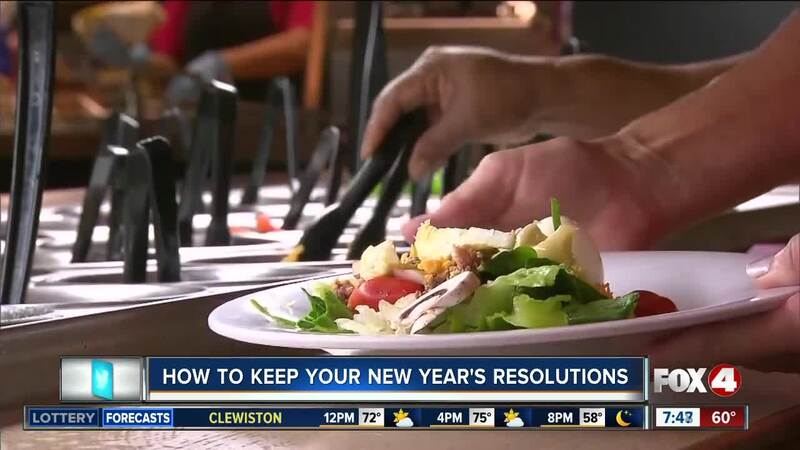 Doctor Nancy Goodwin of Goodwin Medical Center , along with Chef Jeff Mitchell, owner of The Local in Naples, offers helpful tips to keeping your new year's resolutions. Dr. Nancy Goodwin is a Physician in internal and emergency medicine down in Naples. "You want to lose the weight and be able to continue living that way, so it has to be a whole mindset of, 'I'm going to change my lifestyle,' not just, 'I'm going to lose twenty pounds in a month," she said. She says creating a series of smaller goals over a longer period of time can help you accomplish what it is you're looking to do. "Writing it down, knowing what it is that you want to do and start small and then add, add, add," she said. In addition to exercise, she said making sure you have a positive attitude is equally as important. "We're all human, right? We're all going to say one day, 'Oh whatever. I'm just going to do this today.' That's okay. You can give yourself that break, but the next day, you have to tell yourself, 'Okay, I'm not giving up. I'm going back on there and this is what I'm doing today," Goodwin said. Then there's Chef Jeff Mitchell. He owns one of the first farm and sea to table restaurants in the area. "I just think it's really the way we should be eating," Mitchell said. 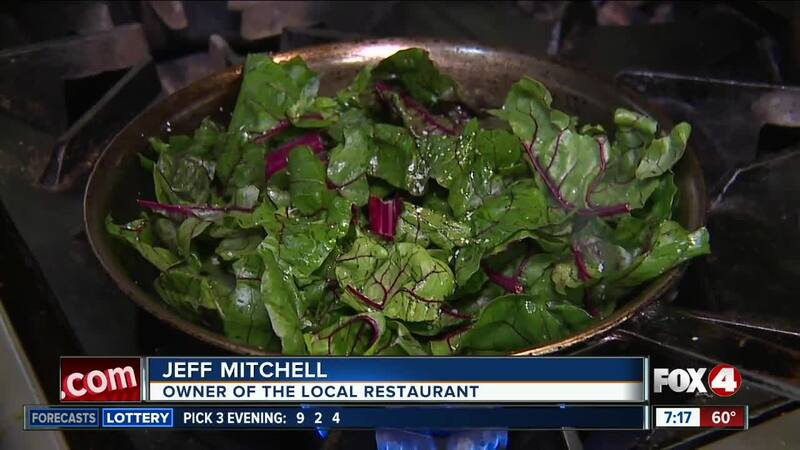 Anything local, whether that's produce, meat or fish, has more nutritional value and flavor than anything else, according to the chef. He said if you're looking to lose weight, eat a diet that's low in calories and high in nutrients. Mitchell said, "I try to have for myself one salad a day. And then I try to have either a roasted or a grilled protein, so that typically helps me out a lot by feeling satiated and then I try to add a fat element to that as well." He shared two meals with us from his menu that you can make at home. The first is a Caesar salad with homemade dressing. He uses Kale and pumpernickel croutons, but makes his dressing without oil, which he says is a healthier alternative. Boil vegetable broth. Whisk cornstarch into the broth until it thickens. Cool in the fridge before using. Finally, blend all ingredients together until smooth. The other meal he makes is a 7 ounce skirt steak and vegetables on the grill with a Basil Salsa Verde sauce. Puree ingredients in a blender or food processor. Adjust salt or lemon juice to taste.